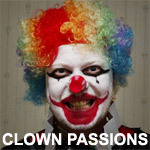 Seeking Clowning Frindships I am very interested in learning the different aspects of clowning. I can do a few basic balloon animals, have tinkered around with a little pocket magic, but wish to learn more. I have been presented with a couple new opportunities where clowning skills will come in handy, and I am looking for folks who would be willing to teach.